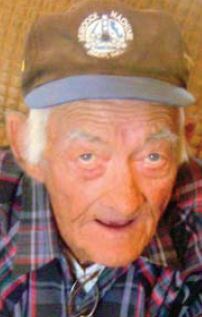 Graveside services are scheduled for 11:30 a.m. Friday, Aug. 14, at Woodbine Cemetery for Chester Raymond Sinclair of Artesia. Sinclair, 79, passed away Friday, July 31, 2015, at Covenant Medical Center in Lubbock, Texas. Cremation has taken place under the direction of Terpening & Son Mortuary. Sinclair was born Feb. 22, 1936, in Stanton, Texas, the son of Raymond Sinclair and Beulah (Thompson) Sinclair. On Jan. 9, 1945, he married Betty Gotcher in Muleshoe, Texas, and the couple came to Artesia in 1957 from Midland, Texas. He was a truck driver in the oilfield. He was also of the Baptist denomination, loved to fish and read, and loved to talk. Survivors include sons Randy Sinclair and Robert Sinclair, both of Artesia; daughters Jackie Black of Odessa, Texas, and Susan Hickerson of Artesia; sister Lois Wolfe of Artesia; nine grandchildren; and three great-grandchildren. He was preceded in death by his wife, Betty Sinclair, on Jan.
14, 2001; his parents; a brother; and sons Richard and Raymond Sinclair. Arrangements are under the direction of Terpening & Son Mortuary. Condolences may be expressed online at http://www.arte siafunerals.com.